Just ahead of the start of their 2018 season, Six Flags New England has announced that they will be premiering a brand new themed section, Gotham City. The new area will be home to many of DC Comics' super heroes and super villains, through both existing and new attractions. Opening later this spring is Harley Quinn Spinsanity, a giant pendulum ride that will be the main new feature of Gotham City in 2018. However today the park also announced the retheming of Mind Eraser into The Riddler Revenge. 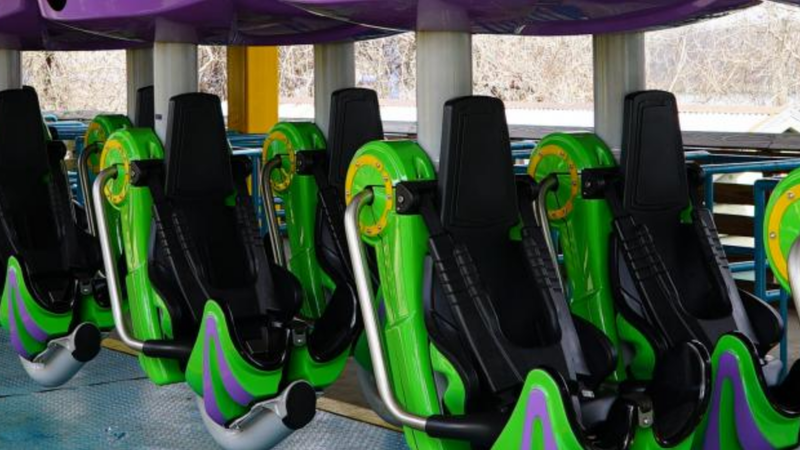 The Riddler Revenge will feature an all new paint scheme, shown in these photos supplied by the park. With yellow supports and lime green track, the Vekoma SLC looks brand new once again. 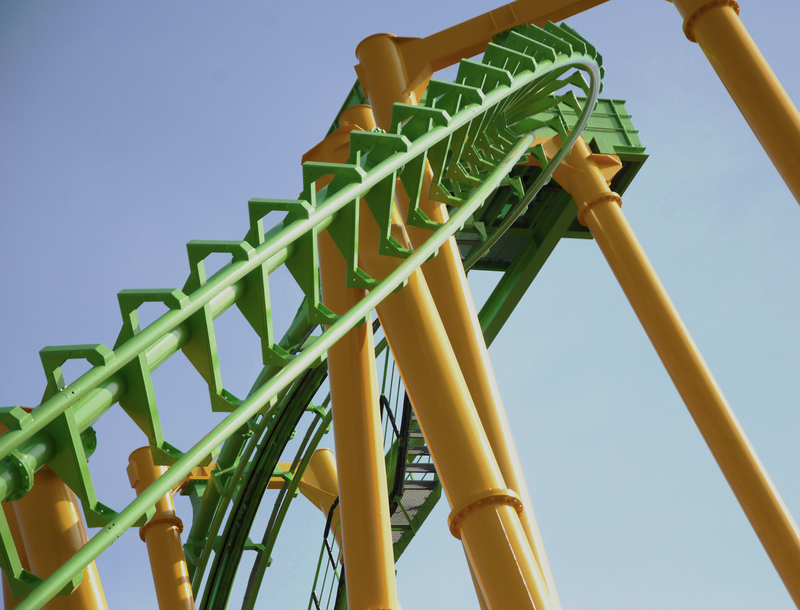 It opened at the park as Mind Eraser in 1997, and now joins the area's other coasters, including The Joker 4D Free Fly Coaster and Batman The Dark Knight. The 2018 renovation will complete the ride's transformation, which recently included a new set of trains that make the experience much more comfortable for riders. For some great aerial photos of the new Gotham City area from just a bit ago, check out this post over at SFNE Online.